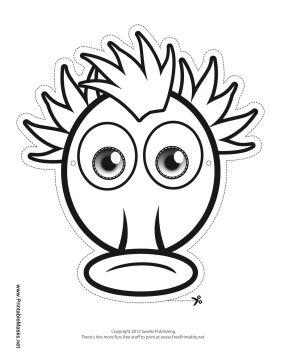 This silly monster outline mask has a horn nose, round face, and tufts of wild hair. Color in this mask for a fun and unique monster costume. This mask is free to download and print.